for builders and architects who want to create resin bound or resin bonded surfaces and need an expert supply service that they can rely on. Resin Drives have built a solid reputation as a high quality installer and supplier of resin surfaces throughout the UK. Our product selection, high level of support services and purchasing power has made us the leading supplier of aggregates and resins for many builders and architects who seek the convenience of a single source supplier. Regardless of your project scale or complexity, Resin Drives Trade’s expert team, know-how and training courses can help to develop the best value solution for your customers from start to finish. We provide a complete turnkey supply and support service. From initial point of contact, through to purchasing and deliver to site, plus our famous after sales service, you can rely on our experience and professionalism. We offer a professional service from start to finish. 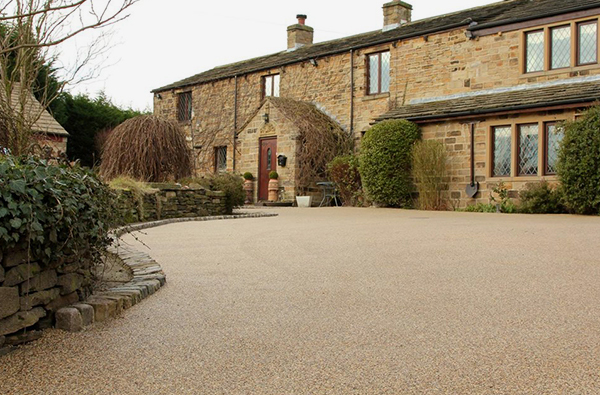 Resin Drives guarantee 100% natural stone and gravel and 100% organic resin. This ensures you get the very best products and help the environment too! With a huge range of gravels, stone and pebbles in various shapes, sizes and colours, you’ll find Resin Drives has everything you need. We offer Resin Bound Surface Installation Training Courses aimed at the newcomer to the industry. On completion of the course you will have the necessary skills, knowledge and know-how to install resin bound surfaces such as driveways and patios. For further training information click here.